When I tell people that I'm an artist/designer they think I sit around all day making pretty pictures. It's not rocket science or brain surgery. Although most think it's an easy job, they don't realize the challenges of creating something completely new and different everyday on a blank sheet of paper (or computer screen) that satisfies the needs of clients or patrons. And, my pictures probably won't be recorded in history books along side the works of Picasso or Chagall. But, people do find meaning in what I do and often purchase a painting to hang on their wall or give as a gift. They are choosing to "live" with the piece of art I've created because it is pleasing to look at or strikes a spiritual chord in their heart. It never ceases to blow me away that people do that, especially in times like these when food and shelter compete for their income. I feel privileged to be able to leave on this planet a little something of me that will last after I'm gone. I appreciate those who share their enjoyment of my work. 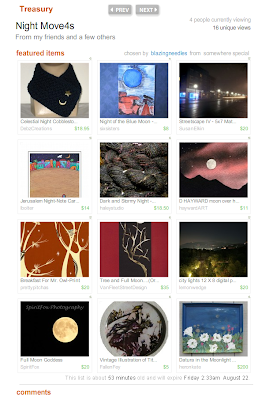 Etsy has a treasury feature where a member can "curate" a collection of work they like. 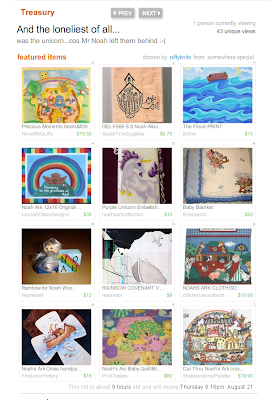 I was fortunate to be included in four treasuries at once last week. 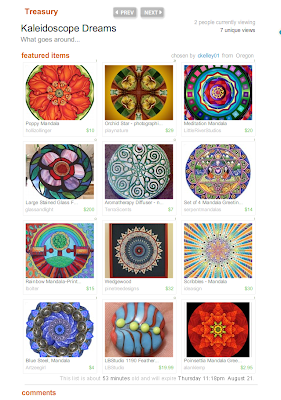 How exciting that people found my work among the thousands of other talented artists and chose to highlight it within the Etsy community. 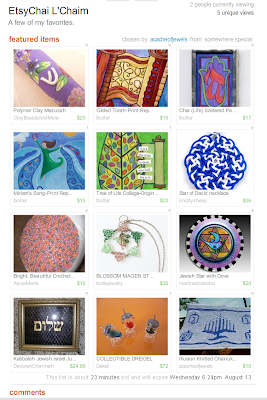 I extend my sincere gratitude to all of the "curators" in Etsy-land.